POWER-GEN International brings together 20,000 power generation professionals to share ideas, celebrate their successes, collaborate on new ways to advance the industry and build relationships. Don’t miss the best networking event of the year! Learn more! LEARN MORE! What Happens When Plants Age? 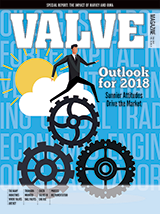 The winter issue of VALVE will address smart ways companies can face shutdowns of plants addressing age issues. By managing properly, those plants can perform as well as newer plants. You are receiving this edition of VALVE eNews as a past subscriber to VALVE eNews. 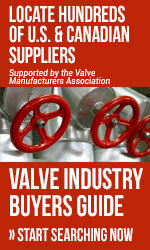 If you wish to continue to receive VALVE eNews, go to the link below to renew or join the mailing list. You can unsubscribe at any time via the "unsubscribe" link at the bottom of this email.